That’s what I’ve been doing instead of my homework. Last night’s Florence + the Machine show got me thinking about my hard-core slacking on the Eat, Pray, Love Project. 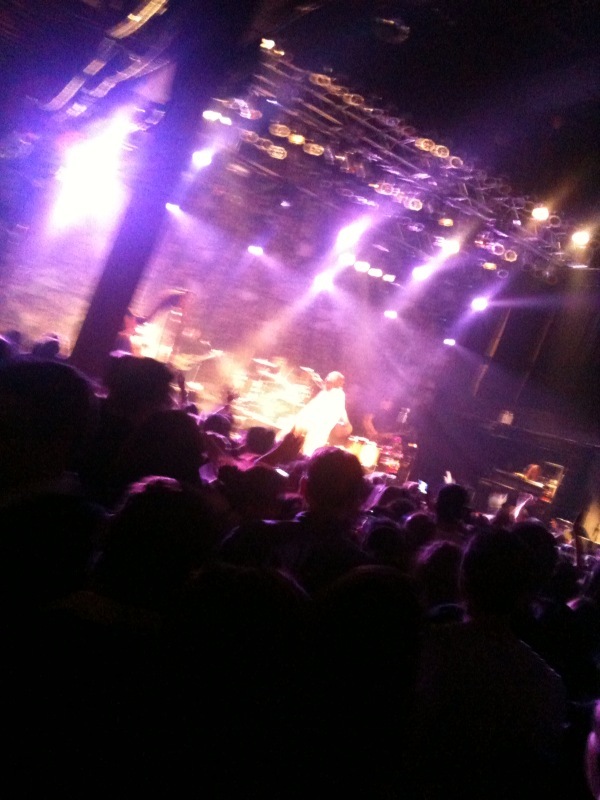 (You probably can’t see it so well from my terrible iPhone shot, but that’s Florence rocking out onstage last night at Terminal 5. She is a wispy, floaty, pixie princess with an astounding voice.) Florence’s endorphinizing (it’s a word) track “Dog Days Are Over” is what you heard as Julia Roberts pedaled through the Italian countryside in commercials for EPL. I haven’t forgotten my promise to read the book. I got through Italy while I was in LA and now I’m stuck somewhere in India. I’m going to power through. I am GONNA. And I am gonna do it soon. Pinky swears!! !